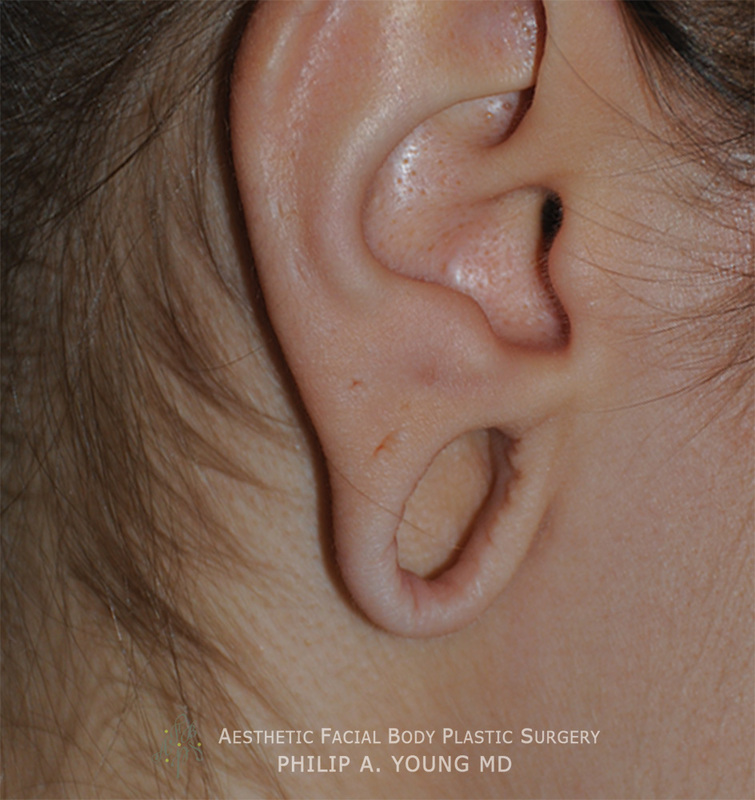 Seattle's Dr. Philip Young brings you more than 15 years of experience in Otoplasty | Otoplasty Revision and the Repair of Gauged Ears. 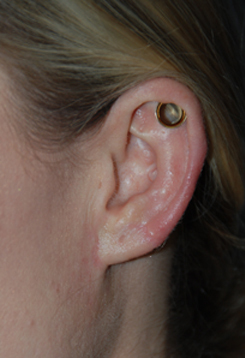 He is a published author on otoplasty. Click here for his Seattle Dr. Young's Facial Plastic Surgery Research. 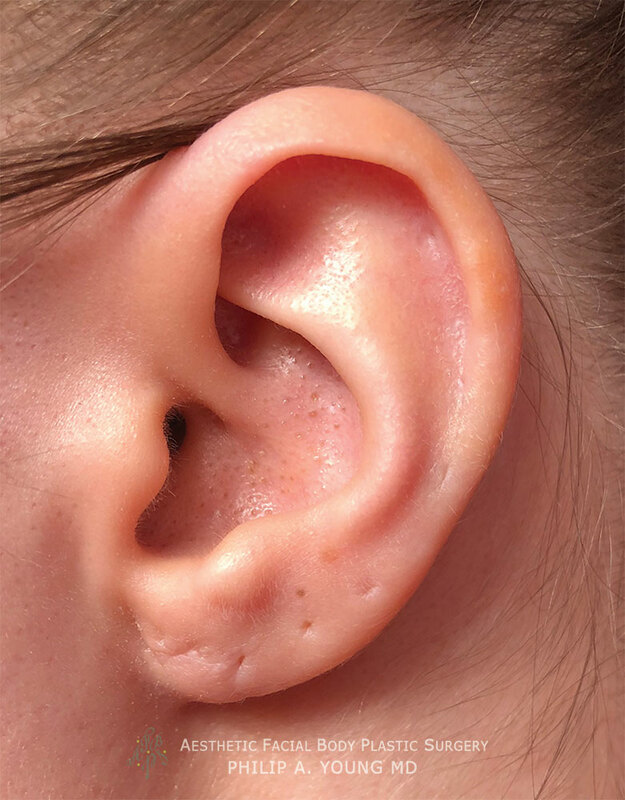 Torn Earlobe Plastic Surgery: Another reason for earlobe plastic surgery is from the accidental injury of ear rings being torn through the earlobe either completely or incompletely. 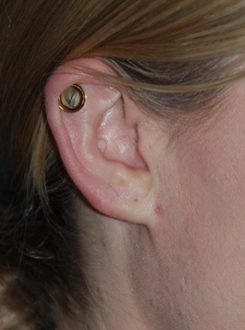 Heavy earrings are another way of creating, over time, an enlarged earring hole that can give you an undesirable appearance. 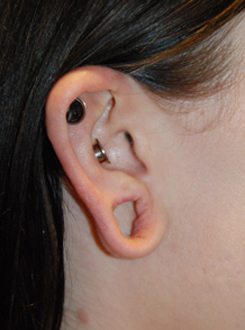 The repair for this situation is essentially an excision of the hole and closure with repiercing at 3-6 months. 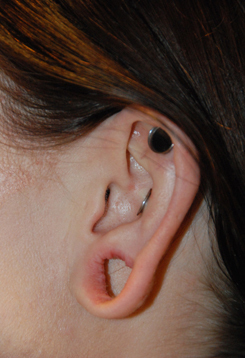 There are other complicated ways of fixing the torn earlobe that can avoid piercing and leave you with an earring hole immediately that can be discussed. 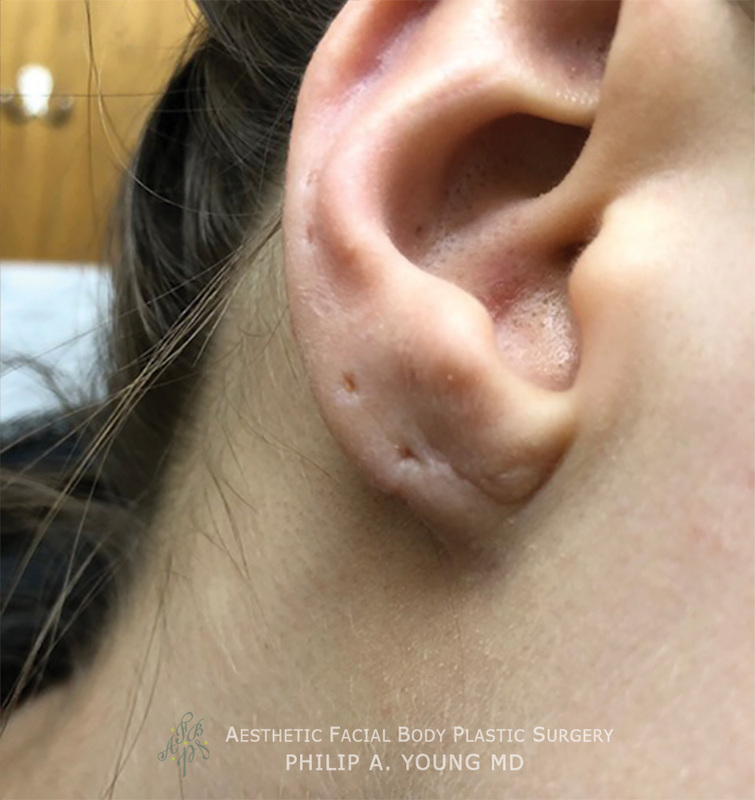 Dr. Young generally believes, though, that the removal of the torn portion of the earlobe with complete closure gives the best outcome. 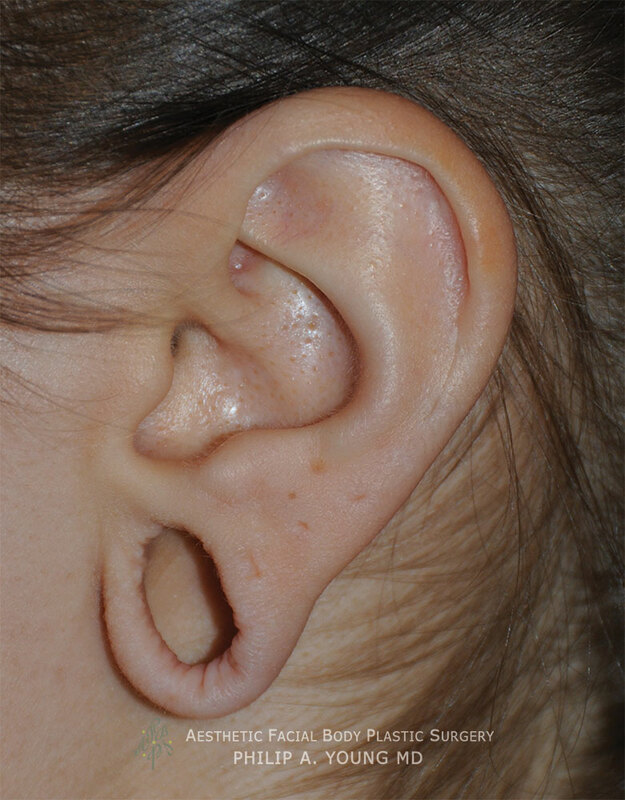 The video above can give you an idea of how we repair the torn earlobe as well, just in a much less involved manner.